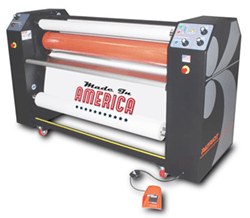 The Patriot laminator is designed to specifically address the issues associated with finishing UV, Latex and Solvent based printing technologies. 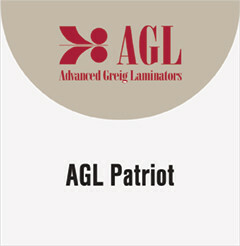 With AGL’s Proprietary nip roll design and the Industries best heating system, this Laminator solves the problems associated with poor laminate adhesion and silvering. Cantilevered material supply stations for easy loading of materials. Swing up infeed table and pneumatically controlled pull roll assembly make webbing a breeze. Optional in-line rear rotary trimmer assemblies and inflatable material supply shafts are also available to increase productivity.